Such a delicious breakfast treat for a hot morning …. or for lunch on any given day for my littlest miss and mister! It packs quite a few calories but it will keep you full for the whole morning because of the protein and fibre. 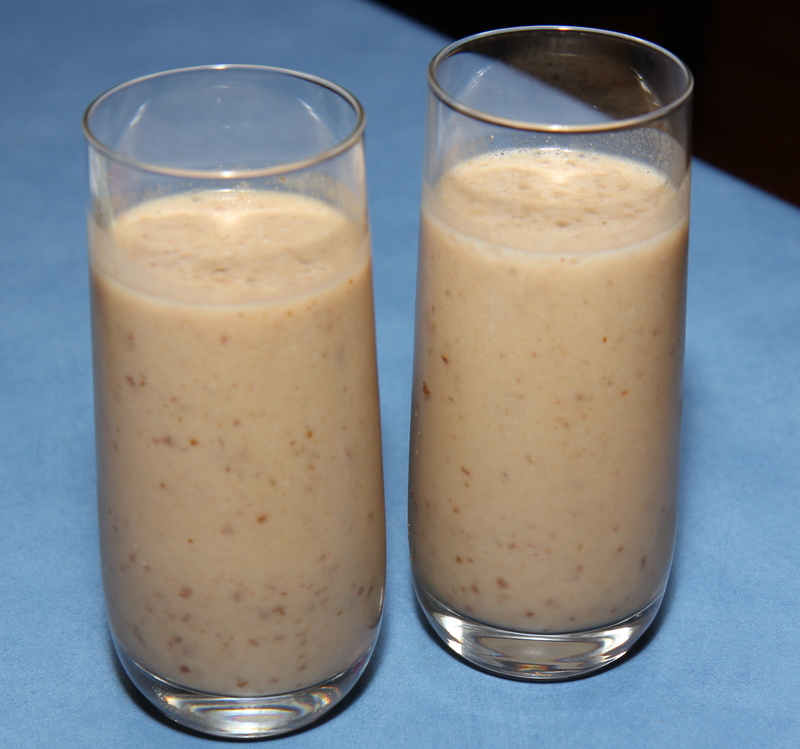 You will need a good high powered blender/processor for this recipe. I’ve made it in my Nutribullet and Bellini and both work well. Place the banana, syrup (if using), salt, seed butter and about 25mls of milk in the processor/blender and pulse a few times. Scrape down the sides. Then while the processor is running, add in the dates one at a time. Process for a further 20 seconds (Speed 4 during the addition then up to 7 for 10 seconds). If you’re using a bullet style blender, use half of the ingredients in each of 2 large cups. *I’ve recently been using cow’s milk as my husband’s taste preference. I use 1/4 full cream milk and 3/4 cold water. What brand of Oat Milk do you use? I’m located 5hrs North of Perth and have access to Woolies & Coles. Thanks! Hi Stacey. I mostly use Pure Harvest Organic from Woollies. I like that it is unsweetened 🙂 I also use the Vitasoy one occasionally.